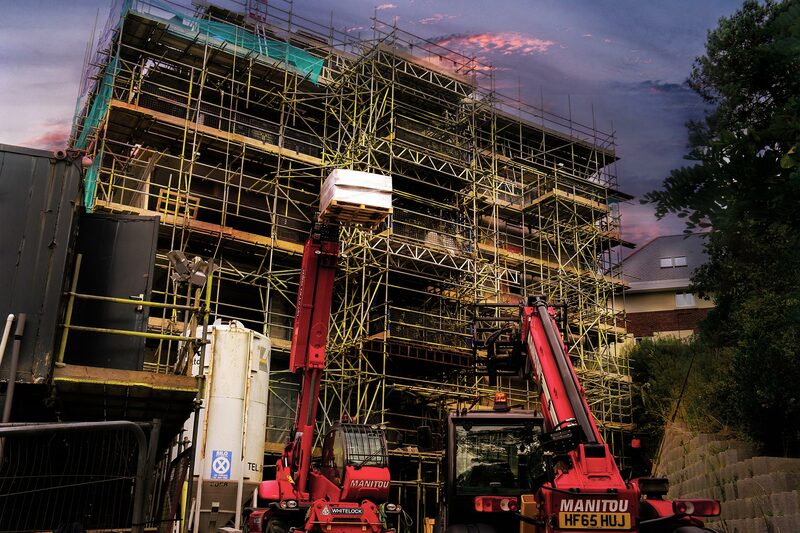 We offer a full scaffold design service throughout the construction industry. Triton has a dedicated team of advanced scaffolding Inspectors. temporary buildings and portal frames. in circulation, all with new enclosed baskets. 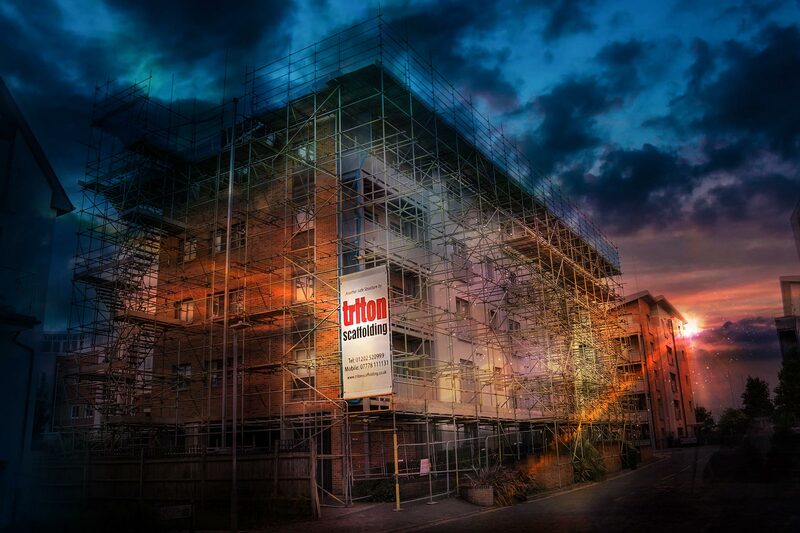 Triton Scaffolding began trading in 1992, is based in Bournemouth and besides covering the Dorset area, has also serviced contracts in Hampshire, Somerset, Bristol and London. Established by Graham Lafferty and Paul Challis, after qualifying as Advanced Scaffolders they went onto gain further valuable experience working within high risk industries such as Power Stations, Refineries and Gas and Oil Installations on and off shore. We pride ourselves in providing great customer service – safe and sound solutions to all your access requirements. 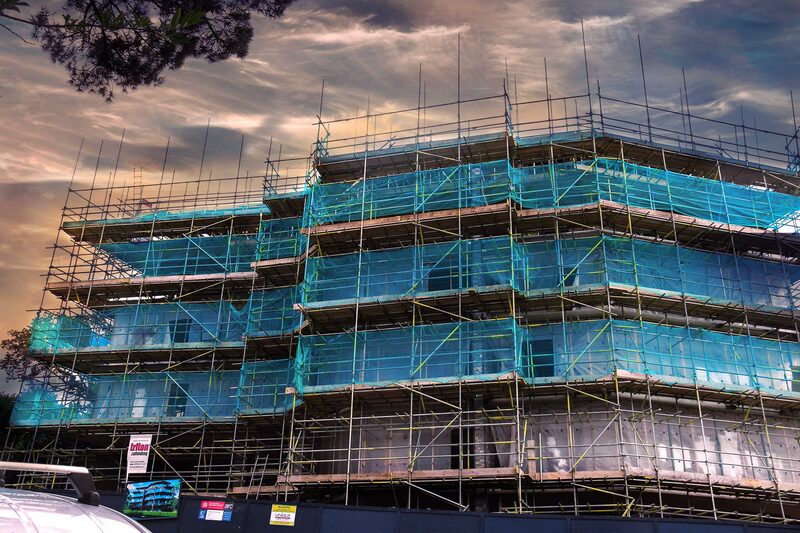 All our scaffold operatives are CISRS registered and fully qualified and are directly employed by Triton Scaffolding Ltd and fully competent in their abilities. Both Directors and Estimator each have over 35 years in the scaffolding industry with a wealth of experience between them and are fully up to date and compliant with TG20:13 guidance. 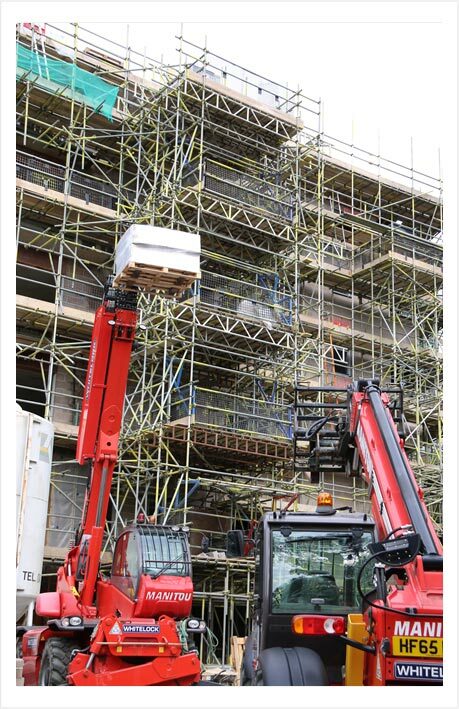 Triton Scaffolding Ltd holds current Employers’ Liability Insurance and Public Liability Insurance each to the sum of £10,000,000. We undertake work from the smallest domestic project to the largest commercial projects (chimney stack access to temporary roof structures). Full method statements and risk assessments are provided for every contract we undertake and are agreed with the client prior to work commencing on site. On completion of every project a handing over certificate is issued. From the stately home to private home we cover them all ! For every project undertaken we ensure that we hold a full discussion with our clients to understand their requirements as a standard Triton practice. We have a dedicated specialist in each area to ensure every aspect of the project meets our high standards. 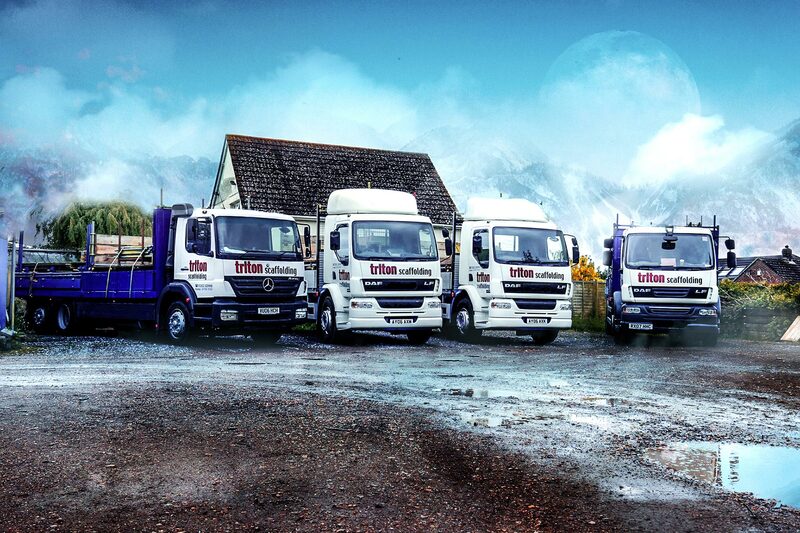 Triton Scaffolding started out in 1992 with just two directors and one lorry and slowly evolved over the years, extending it’s knowledge and experience, into the current exiting company with two directors, ten lorries and a full squad of permanent staff. 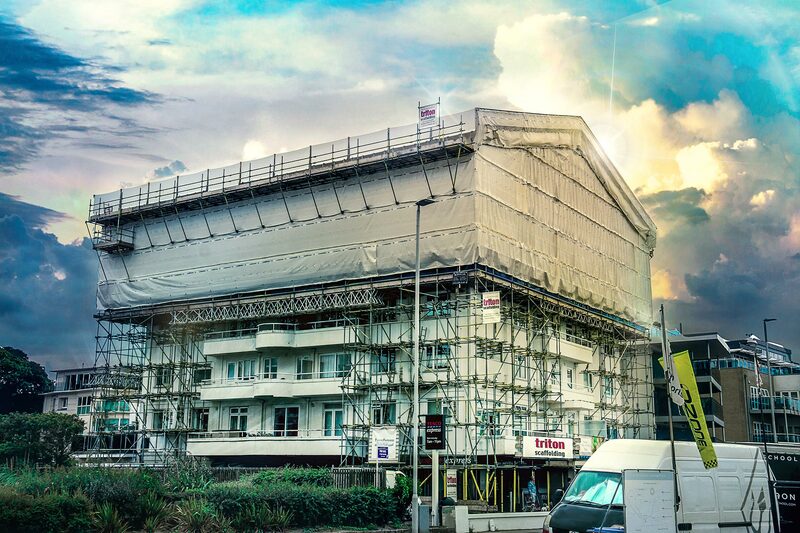 Triton Scaffolding Ltd are based in Throop in Bournemouth and undertake contracts throughout Dorset, Hampshire and surrounding counties. If you need any scaffolding solution we are available for you. 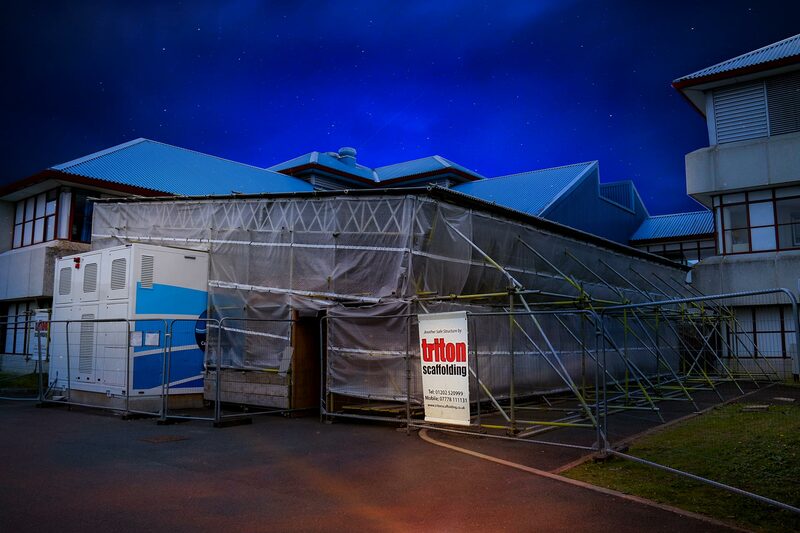 I'm extremely pleased with the service Triton Scaffolding provided. Prompt correspondence and a professional service. They erected the scaffolding quickly and efficiently; faultless! They were also cheaper than the other two quotes I obtained from other companies! I will definitely recommend to others! I just wanted to say that I called Triton to get a quote for an extension that I was building and the service that I had was exceptional and I would not hesitate to recommend them.